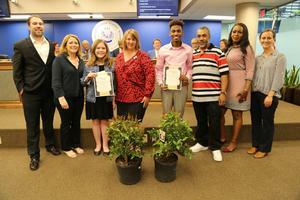 Cohen student beats the competition in citywide Art competition. 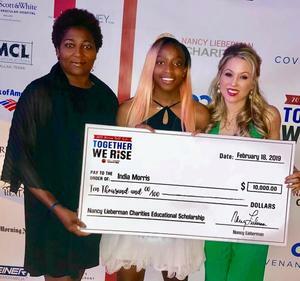 Sideline Pass partnered with basketball legend Nancy Lieberman to award a $10,000 college scholarship to a deserving female student-athlete from New Orleans. Sideline Pass’ first recipient of this scholarship is Cohen High School senior India Morris, who traveled to Dallas in mid-February to accept her scholarship at Nancy Lieberman’s Dream Ball Gala. Registration for Cohen's Golf Tournament Opens! Register for the Inaugural Swing for the Green Golf Tournament today! Mardi Gras Parking is Available at Cohen! Park at Cohen College Prep during Mardi Gras parades this season! Cohen Athletes do it BIG! Congratulations to Green Hornet, Clay Essex for making the 2018 All-Metro Small Schools Team!